5 Best Free (And Then Paid) Antivirus Android Apps. Best Android antivirus apps don’t just protect you. They do more. Most online consumers these days make use of a multiple number of internet-enabled devices. The majority of these Internet-enabled devices come in the form of tablets and smartphones. And the lion’s share of these run on the Android operating system. 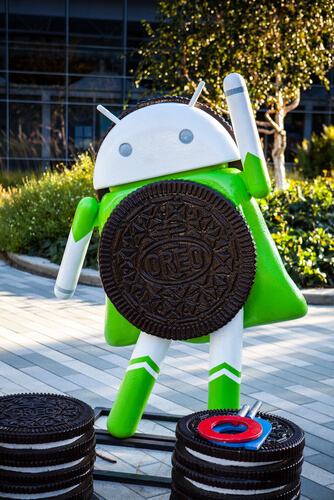 In short, Android devices now rule the mobile world. If you don’t believe us (which hurts us, but that’s okay) then believe statista that reported in 2017 that the Android operating system, in fact, accounted for more than 85 percent of the mobile device on earth. That number would have surely risen if we’re talking about 2018. But popularity isn’t always a desired thing unless you run a YouTube channel. In other words, the more an operating system gets popular the more it attracts risks such as hackers and other cybercriminals. 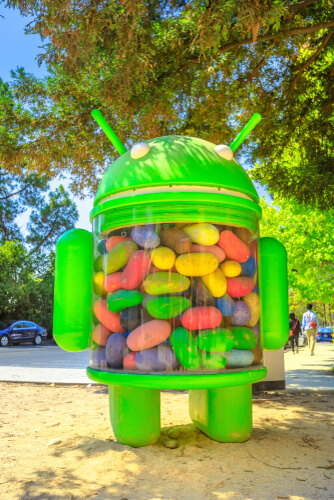 This is the reason why Android devices are far more likely to experience cyber attacks and damage from viruses than their counterparts running the Apple iOS operating system. Now, one should not understand that to mean that all Android devices are worse than Apple devices. Of course, Apple iOS has its advantages when it comes to devices such as the iPad and the iPhone. But Android devices have advantages of their own. Both have some inherent flaws as well. However, as far as Android users go, the thing they need to understand is that using an Android device is pretty much like using the Windows computer machine. In other words, Android users need to take a few small security measures and precautions in order to make sure their Android devices have appropriate protection. One of the best ways to ensure protection is with the help of a good antivirus app. Android users who think that they already have a problem with their Android device in the sense that it has a virus that is slowing things down (assuming they also want to solve the problem) should also give thought to using an Android antivirus app in order to clean their tablet and/or smartphone of malware. Needless to say, if there is a security problem with a device then the owner of the device should get that fixed as soon as possible to contain any potential damage and prevent further privacy and/or data losses. Should I go with multi-device antivirus protection option? We’ll dive in more details about all the options that Android users have in terms of paid and free Android antivirus apps. Right now, we want to discuss one option that we think every Android user should deeply consider. That option is multi-device Android antivirus applications. Today, users can sign up for a ton of software security products from companies that develop various antivirus subscriptions to cover each and every device that the user may have. with the same antivirus product and/or subscription. In the majority of the cases, trustworthy and highly-rated antivirus software application companies offer users standalone Android security apps in places such as Google Play Store. These companies offer paid as well as free versions of their security products. However, our research shows that some users may get a better deal if they only purchased a subscription package from a security company that covered not just their Android device but all of their internet-enabled devices. Users should also consider that the majority of all-in-one antivirus subscription packages generally provide access to their official Android app without any more add-ons and as a part of the whole security package. This may just give users more value to users who want to go this route after already deciding to buy a quality and secure Android antivirus application. Now, let’s take a look at some of the all-inclusive antivirus tools which allow users access to not just an Android antivirus application but also protection for all other types of devices in the same subscription package. One of the consumer-friendly premium antivirus tools that Panda Security offers to its users is called the Panda Dome. Developers of Panda Dome have designed this security offering to protect all of the user’s devices. Following from that, the Panda Dome offering provides users with an official Android antivirus application along with its official Windows antivirus application as part of the same package and/or subscription. No one needs more assurance on the fact that Bitdefender, as an antivirus company, is a world class one. 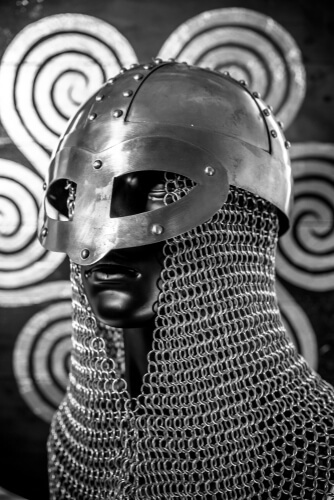 There are hardly any security product providers in the market today who can churn out security products as complete and comprehensive as Bitdefender’s. Our research shows that Bitdefender Antivirus Plus 2018 security software for the Windows platform is about as well crafted as any other security product. In other words, Bitdefender is an extremely secure antivirus product. More specifically, the Antivirus product’s virus scanning security tool is one of the most effective ones that we have come across. Apart from that, Bitdefender Antivirus Plus also features the most (some would say, one of the most) prudent and aggressive (in the positive sense) real-time antivirus protection tool that we have come across during our research phase. 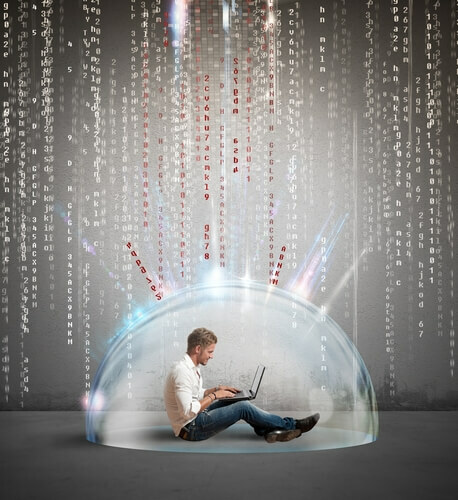 Bitdefender Antivirus doesn’t just allow users to protect their Android mobile internet-enabled devices with the help of its proprietary software application for the mobile platform. It allows users to fully manage their other installations of Bitdefender Antivirus from the official Bitdefender mobile application. This is another antivirus product that we highly recommend. We haven’t put up a full review of VIPRE antivirus but our research so far shows that Vipre Antivirus is a pretty good antivirus product. And the company behind this security product is trustworthy. The only problem that we have with VIPRE is that the company has a poor customer service if we compare it with it competitors. If someone ignores that, then VIPRE is a security company that offers users antivirus protection not just for their Android mobile devices but also their desktop machines. And all of that protection is rolled up into a single subscription package. Now, if readers go to Google Play Store and take a look at the number of people who have downloaded the official VIPRE Android antivirus app, they’ll see that not a lot of them have done so. VIPRE is simply not as well known a company as say Bitdefender and/or Norton. However, we don’t think that should keep one away from trying out their antivirus offerings. McAfee probably offers one of the broadest range of security tools of any kind in the online world. McAfee security products are so varied in their effectiveness and price that the reader is likely to see both consumers and businesses using McAfee products. We have even seen cases where new laptops and Windows machines have come with McAfee antivirus tools as pre-installed software. We know that not everyone likes the idea of pre-installed software, but this shows one the popularity of McAfee security products. McAfee itself comes with a number of bundled software (which in turn are also pretty popular). Some of these software applications include the ones developed by Adobe. Readers who have already made up their mind about purchasing McAfee products or are still thinking about buying any other software, we say to them that if they are going to give an antivirus product a chance then it should be McAfee. But not just any McAfee offering. Our research shows that the best value for money offering from McAfee is the McAfee Total Security offering. It is a subscription package which allows users to not only install antivirus protection on their computer device but also install the same level of protection on their Android device with the help of the product’s mobile version. Kaspersky has made a name for itself by offering protection products such as Total Protection as well as Internet Security. Both provide top class coverage for any and all of the user’s devices. And these include Android operating system devices. So much so, Kaspersky even provides protection for Mac computers. As a security company, Kaspersky has increasingly made a name for itself in the industry not just by offering antivirus tools of the highest quality but also for the company’s commitment to research and scholarship on various internet security issues. That is what has made Kaspersky a trustworthy source not just for online consumers but also for researchers. Click here to read our full review of what Kaspersky Internet Security has to offer to users who want to protect themselves with the best that the industry has to offer. Our complete Kaspersky review talks about all the details regarding the protection that Kaspersky offers for different devices. In order to identify the best top 10 free and best top 5 paid antivirus applications for Android, Security Gladiators gave consideration to a number of criteria. Let’s take a look at that. Allow us to explain why we think that a large number of app downloads means a lot. You see, for any Android application, the actual number of downloads (if it is large) means that the Android app not only offers users working protection but also satisfies users to the extent that they spread it via word of mouth. It also shows that marketers have effectively spread the word about the product in places where they should via advertisements. Of course, there is always a chance that some other reasons could actually result in a huge online user base for an Android app that doesn’t deserve it. You’ll find that this is more the result of unscrupulous app developers rather than the general public who may have voted a mediocre app as a great app. Some app developers do have the habit of paying online consumers to download their application and then paid app reviews as well. This is the reason why we never judge an Android security application solely based on user reviews or number of downloads. With that said it is entirely true that user ratings which are rated out of five stars at the max are critically important. However, their importance is even more increased when users don’t just download the product but also leave a star rating. If the downloader of the app has also left a review then that carries more weight than just a mere download and/or rating. For example, let’s say there is a security Android app. And it has an average rating of 4.5 stars. Let’s also assume that over a 100 million online users have downloaded the actual Android app. However, if there are very few number of ratings and written review then that is a sign of a fraudulent score. We’re not saying that the app is definitely a mediocre app that has received a high score. But we are saying that users should stay on their guard when they come across just an Android app. All such phrases indicate that the user probably did not write an honest review and only did it out of an obligation. Such an app such an app also indicates that the developers of the app might have purchased some ratings for their app. Of course, one should also consider the opposite case. This is the case where the app has a low score but a good number of reviewers that are positive. Such an app is also something that users should take the necessary precautions against. There is little doubt about the fact that when it comes to security Android apps, the file size holds importance. In fact, file size is an important factor now for any and all mobile device since storage is becoming an ever more prized commodity. As mentioned at the top as well, Security Gladiators considers all bonus features beyond the basic antivirus features such as scanning and/or monitoring as beneficial. However, if these features are not that beneficial but in fact are used for bloating then that can, generally speaking, gives the app an unsavory smell. This is especially true if the user already has a limited amount of storage left on his/her Android device. There is also a possibility that an app might have a lot of user downloads and might also have a high rating. In such a scenario, it is within the realms of possibility that not a lot of people would be using the app at that moment. Apart from that, readers don’t really need us to tell them that recent updates also form a very important component of a good Android antivirus app. Updates are important not just because it ensures that the app if still functional. They are important because these updates tell the user that the Android antivirus app is still pretty much safe to install and use. In addition to the points mentioned above, Security Gladiators also gives points based on the location of the app developer. Well, first of all, we would like to clarify that we don’t really discriminate based on the app developer’s location specifically. But it is true that most of the spyware-loaded and malware-ridden Android apps have a higher chance of originating from countries that have lax user privacy regulations. Such countries, even if they have privacy laws, do not take the pains to strictly enforce them. Now, users need to keep in mind that the majority of antivirus tools and apps do collect and transfer (the dreaded) personal user data. These antivirus software applications have to do that because they want to monitor the user’s smartphone device for various online threats. Hence, it is vitally important for the user to not only trust his/her Android app’s protection mechanisms but also its commitment to data privacy and that it would be protected. 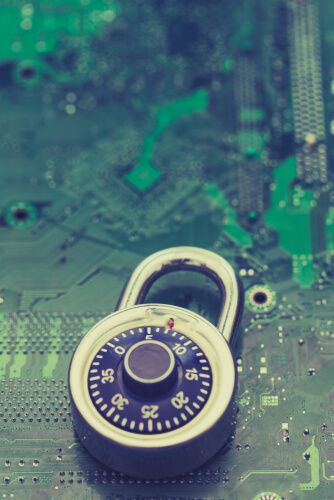 Talking about data privacy issues, the fact is that in 2014, AV-Comparatives came out with a report that took a detailed look at the concerns that the community had with various antivirus security tools. The report clearly suggested that online consumers should take heed and only install products which come from reputable antivirus product manufacturers. Moreover, the report also said that users should check any license agreement that they may have to agree to and ensure that it does not allow or permit the Android app to employ questionable practices. The obvious question that arises from all of this is that what are those questionable practices? Well, these are practices where Android apps for security and otherwise ask the users to allow them to collect any and all personal user data. Perhaps the most important point that the report pointed to was that it warned users against installing and using free antivirus products. Because, according to the report such free antivirus products have a higher chance of misusing their user data. Following from that, it should make sense to the user that they should stick with and install only those antivirus products that come from reputable manufacturers. And again, stay away from free products. That is the reason why Android security apps that come from those countries which happen to have strong privacy and data protection laws score higher on our lists. Now, the first thing we want to tell users about free Android antivirus apps is that nothing is really truly free. In other words, free Android antivirus apps would always come with their own set of risks and issues. As far as users who sign up for free Android antivirus apps, they will only have to deal with the risk of having to put up with and suffer lots and lots of advertisements. Free Android antivirus apps also have limited functionality. And until the user does not upgrade to the company’s premium -read paid- services, the ads and limitations won’t go away. Sometimes free Android antivirus apps skim user data. Other times they outright sell user data. This is the reason why we have compiled our own list of best free antivirus applications for the Android platform. All of the options that we will mention below have scored good marks in most of the things that we look for in a decent free Android antivirus app. So here is our list. Just keep in mind that they aren’t necessarily in any given order. Super Cleaner which comes with a phone cleaner along with booster and antivirus features. Super Speed Cleaner which comes with a booster and an antivirus cleaner. CM Security Line which is also an antivirus. Our research shows that all these Android security apps deserve your attention. Various reviewers have installed, tested and rated each of the above-mentioned Android security apps. So you can rest assured these are not scams. With that said, there is no hiding the fact that all of the options that we have mentioned above will come with some sort of limitations. This is the nature of free Android antivirus apps. However, we have done our best to make sure that we address all the major concerns with each of the options mentioned above where necessary. We recommend that before users go to the other free options listed above, they should know that Google is smart. You see, Google knows that hackers are out to get Android users. The company has identified this problem. And hence has antivirus security tools of its own. This antivirus security tool comes pre-installed with Google Play Store app. Free Android users should know that their smartphone device already has a free antivirus security tool available. The company calls this security tool as Google Play Protect. As mentioned just now, this is Google’s official and built-in antivirus protection which is always busy running regular scans on all installed apps. It also runs a scan on any app that the user may try to download and install on his/her Android device from the official Google Play Store site. If Google Play Protect identifies a threat. And locates it either in Google Play Store and/or in the application that the user may already have installed, then it will notify the user. Moreover, it would also help the user to deal with the unfortunate situation. Needless to say, Google developers have designed Google Play Protect to both protect the Android apps that the user has already installed and remove all the harmful apps. As mentioned just now, Google Play Protect has full capacity to let the user know if a given app on the official Google Play Store platform has a potential of posing any danger. However, Google Play Protect does really remove other kinds of files which could be potentially harmful to the user but may exist outside of the related Android apps. Moreover, our research also shows that there is no guarantee that Google Play Store would have the ability to deal with a wide range of other kinds of malware which hackers can install on various Android devices. Users who want to check their Android app online security status can do so by opening up the official Google Play Store site and then clicking the present menu button. The menu button usually appears in the top left corner of the screen in the form of three horizontal lines. After clicking the menu button, the user should click on the option that says Play Protect. When that is done, the user should be able to see his/her device and app security status. If the user feels then he/she is free to run a full scan of the device or list of apps. Of course, it all depends on the necessity of it all. Now that our readers have read about Google Play Protect, it is a good time to mention that even though this feature exists, very few users know about it. This is one of the reasons why it is still pretty much an unknown feature. What Android users need to know is that a lot of their security concerns are not really concerns at all. Because the default Android operating system already handles those without the need of any additional security software. It is more or less completely and absolutely free. With that said, it is also true that some users will require extra protection for their Android device. Hence it is totally worth spending the time and resources to get a hold of some paid and even some paid options since Google Play Protect is somewhat limited. 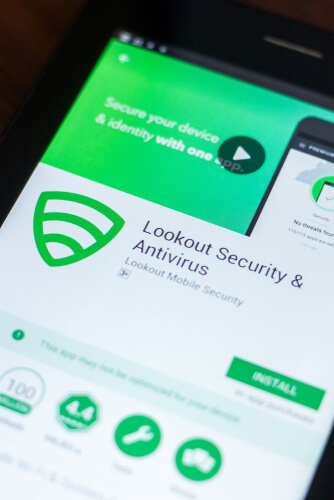 We’re pretty confident that there is a high chance most of our readers would have heard about this Android security app called Lookout Security and Antivirus. Our research shows that there are a few regular and experienced Android users who have had Android phones that come pre-installed with Lookout Security and Antivirus. As far as Google Play Store is concerned, Lookout Security and Antivirus can perhaps rank itself amongst the good and trusted Android antivirus apps and tools. Moreover, users should know that this Android antivirus tool is available for users to download and install for a sweet sweet price of free. With that said, it is also true that the free version comes with a good amount of limitations. Lookout Security and Antivirus does not really monetize its free edition with any kind of advertisements. Apart from that, it also offers users a fully featured and expanded edition which is, to be frank, a tiny bit on the expensive side. Does it offer a premium version? Yes. Does it offer an ad-supported version? No. Which country does the developer come from? The United States of America. Does it offer any additional features? Yes. The total number of online consumers who have downloaded the app on Google Play Store? More than 100 million. If there is one thing certain about this Android app then it is the fact that it looks good. Lookout Security and Antivirus has a neat user interface, in other words. And since there are no advertisements eating up the valuable digital real estate, free users get that extra benefit as well. Overall, the experience is much more pleasurable since there are no advertisements. Free users get to use Locate Tools and App Security. Users can make use of the Locate Tools in order to track their Android device in the case that someone steals it or the user simply loses it. There is also the System Advisor feature. Our research shows each one of these three features adequately provides users with a healthy amount of protection for their Android devices. 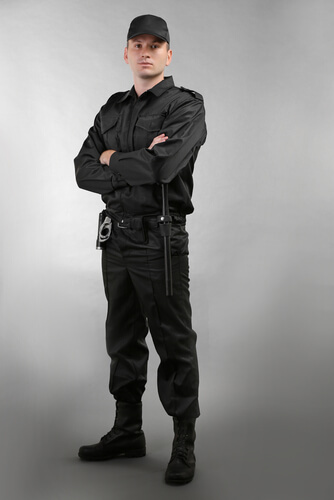 This protection is enough for the user to have safety and security from intruders as well as thieves. This Android antivirus app comes with a theft alert feature which works by making use of the user’s app GPS. As mentioned before, if the user loses his/her device or if someone steals it then the user has the option of logging into his/her account on the official lookout.com site and then find where their device is actually located. 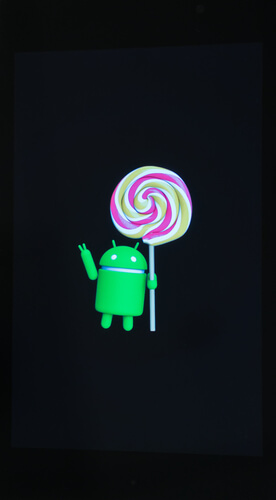 Users even have the option of locking and wiping the Android device remotely. 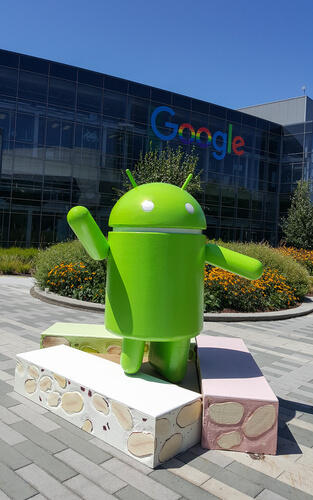 The other thing users need to know about the Android operating system on a device is that most, if not all, of such devices, come with the app called Android Manager. This also allows users to perform the same functions as Lookout.com. In other words, users have some of these features available to them even if they do not make use of Lookout. Users who have this need of added online theft protection should look at Lookout features that enable them to automatically lock their phone whenever the phone’s SIM is taken out and removed. Other features which users should pay attention to may include the ones that lock the device if the user has tried multiple passcodes and has registered failure on a number of occasions. Lookout does have these features. But users have to pay a price since these features only come in the company’s Premium subscription package. For the user’s basic needs, Lookout Security and Antivirus provides users with security features which have the ability to scan for malware. Chargeware (these are simply apps which charge the user’s wallet without the user’s prior knowledge and/or permission). It also protects against many other types of security vulnerabilities. In our experience, this is a pretty comprehensive list of online protections for the user who is not paying the company a single penny. Users who have made their decision to expand the list of features that are available to them will need to have a premium and/or paid account. That should have been obvious, but let’s be safe than sorry. Lookout charges $2.99 per month for its Premium subscription packages. then the user will have to pay up around $9.99 each month. If users want to, they can also pay the company per year which will cost them $99. As users can probably tell, the yearly subscription package comes with a discount. All in all, we recommend that users should consider Lookout as a really solid Android app that costs them nothing to use with some limitations. We believe that since it does not show free users advertisements, it automatically ranks as one of the best Android antivirus apps out there. As mentioned before, there is a chance that user may already have the official app as a pre-installed app for their Android device. If that is indeed the case, then the best course of action here is to simply stick with the app. On the other hand, users who are satisfied with the free version may want to consider paying up a little bit in order to make it their primary option. This is another one of those Android antivirus apps that have managed to end up on our list with good performance. In fact, there are lots of other reasons why we believe Antivirus Free deserves a shot from all sorts of Android users. One reason is that Antivirus Free – Virus Cleaner is a reasonably good software security product. Thankfully it is also a small application. And it has a ton of features to offer to all those Android users who have this innate desire to sign up for a free Android antivirus app or tool. Before we start to talk more about this Android antivirus app, let’s break it down with some cold hard facts and stats. Does it have a premium version? Does it have an ad-supported version? When was the last time developers updated it? The last update came around May 2018. Where does the developer come from? Does it have any extra features? What is the exact file size? What is the total number of online customer ratings? How many times have online consumers downloaded this Android app? Around 50 million and counting. What is the average user rating? It is 4.4 out of 5. Android Free, we feel, is more than a decent choice for anyone who doesn’t have a lot of space left on his/her device and also does not have any need of a full antivirus tool that comes with a lot of unnecessary fluff. Our research on its user interface shows that Antivirus Free- Virus Cleaner offers users a fairly well-thought-out and light-looking user interface. Android Free does show free users some advertisements. However, our research shows that those ads did not obstruct anything on the app. Sometimes though, they will become an annoyance as they are designed to. These advertisements pop up each and every time that the user performs an action within the app. With that said, it is not that hard to simply exit out of these ads. Android Free’s biggest feature is its scanner. But that’s its primary function. It also has secondary features. For example, it has a real-time monitor. This alone is a pretty sought-after feature. Apart from that, Android Free also provides users with a neat little feature that the company calls Anti-Eavesdropping function. Users can take advantage of this option in order to keep their personal and private data safe and away from other eavesdropping applications. This feature also keeps users safe from all potential spam callers who steal identities. Apart from that, users are free to perform this app’s deep scan with the Anti-Eavesdropping tool. All of these are essentially separate applications. We also don’t think we need to explain the additional features too much because most of them are reasonably self-explanatory. The only thing that users need to know here is that all of these additional functions serve the users and help them better manage their smartphone devices. Even though it markets itself as a Virus Cleaner, it provides users with a weather notification application. It is highly likely that any user who comes across Android Free would already have a weather application on his/her mobile application. We think that it is precisely for this reason that Android Free Virus Cleaner offers users an off option as a feature in the settings menu. Additionally, our research shows that a few of the official app’s features tend to get in the way of the user just enough for the user to start noticing the problem. However, we have come to know that if the user can simply turn off all the additional features which are accessible via the settings menu, then this problem goes away on its own. So what to do about the ads? There is really nothing that the user can do about the ads. But since it is free users we are talking about here, maybe they should not complain. Or at least not complain much. From an overall perspective, Antivirus Free- Virus Cleaner has everything that any Android antivirus app needs in order to earn high marks from any reviewer. For users who have the stamina and the discipline to withstand the slightly annoying advertisements, this is a solid and well-built application. The only reason why some reviewers have not given CM Security Lite high marks is the fact that this Android Antivirus app is based in China. And China is a security-suspect country among many other things. But putting that aside, CM Security Lite (Antivirus) is not just a security app. It offers a lot more than that. Of course, it will work only for those who are not bothered by the fact that the developers are in China. Talking about its features though, the first thing that comes to mind is its size. More specifically, the CM Security Line Antivirus is pretty much the smallest Android antivirus app/tool that we came across throughout our research process. At the moment, the size sits pretty in the region of 1.14 MB. Users who have very little space left on their smartphone and those users who started off with little space, this Android antivirus app is a great option. It is a no-frills but top Android antivirus tool. So it should come as a surprise to no one that we want everyone to consider it. Now, we have already mentioned the entire list of criteria that we make use of when we try to list Android antivirus apps. When was the last time the developer came out with an update? Which country is the developer working in? File size is around 1.14 MB. How many customers have given this product a rating? How many online users have downloaded this Android antivirus app? What is the current average user rating? It is around 4.6 out of 5 stars. Now, readers who have actually read what we have said in the above lines would have easily noticed that CM Security Lite Antivirus is like really really light. However, what they might have missed is the fact that it is not only ad-free but also does not offer users any kind of premium service? The one major reason was CM Security Lite Antivirus has risen to the top of our best free antivirus list and many others on the internet is that it is free and ad-free. Not only that, our research shows that CM Security Lite Antivirus is the only Android antivirus app which satisfies many of the criteria that we have mentioned. It even takes care of some very small ones. But first, let’s start our discussion with the fact that it is free (again). The fact that it is ad-free and a good service, should have made CM Security Lite Antivirus a bit of a Silicon Valley unicorn right? It turns out, the full story is just a little bit more complicated or nuanced than that. The developers behind the CM Security Lite Antivirus app claims that they do not show any ads. However, what they don’t tell users is that they do not show users ads that come from outside sources. So what does this Android antivirus app do instead? It makes use of advertising techniques to introduce new additional features to the user who may or may not want to try out those new features. Of course, the company doesn’t really care. It uses those ads as plug-ins for other applications which the same company provides to users free of cost. Some of our readers might have heard about the most notable of those plug-in features and services, Security Master. Now, Security Master is different from CM Security Lite Antivirus in the sense that it does show user sads and also offers them a premium version for which they have to pay some money. We have established that the same company is behind both the CM Security Lite Antivirus and Security Master. These are two separate apps though. Being separate apps does not mean that they don’t interact either. In fact, our research shows that one of these apps maybe feeding each other with various data. For this guide’s purpose, we will still consider CM Security Lite Antivirus working as its very own advertisement-free antivirus tool. Users do not even have to provide payment options. And again, free users don’t really have to worry about the ads because they are, for the most part, not in the way. We have already mentioned the fact that this app is small. But that tiny size comes at a cost. It comes at the cost of the app being veritably simple. CM Security Lite Antivirus has a real-time detection system and malware scans for protection. As readers can probably tell, the security is functionally very small-scale. However, this makes CM Security Lite Antivirus the ideal choice for the type of users who do not desire to have the most complete and feature-rich Android antivirus app in the world. Perhaps this is a good time to mention that our research has shown a couple of concerns readers should know about regarding Cheetah Mobile. Maybe we didn’t mention this before but Cheetah Mobile is the developer behind CM Security Lite Antivirus app. And the concerns mainly have to do with some shady-sounding activities that this developer team has carried out with a few of the other apps that they have published. It used to be that whenever a user purchased QuickPic, an Android app, the company (Cheetah Mobile) started to load user data right onto its servers. The good folks working over at Android Police rightly called out the company for a few of their shady activities that the company engages in via its other Android apps as well. 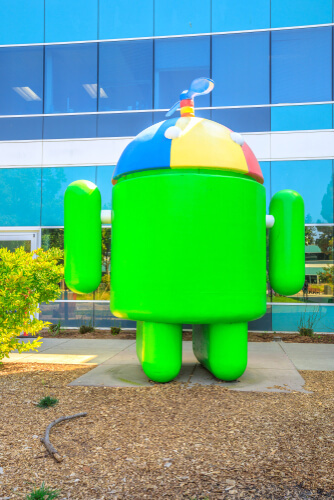 To put it in simpler terms, many others have accused the company of developing low-quality applications that have little other usefulness apart from loading adware onto the Android devices of the users. But again, like we mentioned before, this is an app that is coming from a developer team in China. This is the reason why it has a received some side-eye from Security Gladiators and many others. As it turns out, its review scores are also not as high as they should be. The company can blame no one for its lower scores except for its less than acceptable privacy standards even for users that come from its own country of operation. We want readers to keep that in their heads and approach the likes of CM Security Lite Antivirus with some caution. For clarity’s sake, we’re not saying that CM Security Lite Antivirus is not a good application. It is actually a fairly reasonable application. Moreover, CM Security Lite Antivirus is different from all the other apps that the company offers to the users in the sense that it does not come loaded with all the different types of adware that the community has come to associate with the Cheetah Mobile developer. However, it is also true that this developer has a bit of less-than-ideal reputation for questionable activities behind the scene. Our advice is that users should know exactly what they are getting into before trying out products from Cheetah Mobile. ESET probably represents one of the very few known and reputable antivirus product companies whose free Android antivirus app has actually made it to our list. We have included this app in our list because it has a decent amount of reviews and number of downloads from the user and also has fairly high customer ratings. Before moving ahead with the details of this offering, let’s take a look at what ESET Mobile Security and Antivirus have to offer briefly. Does it offer an ad-supported version? When did the developer of Mobile Security & Antivirus ESET last update the product? The last update rolled out in April 2018. Where is the developer team located? It is located in the United States of America. Are there any extra features? It is around 9.95 MB. What is the total number of ratings from customers? What is the total number of users who have downloaded the application? It is around 4.7 out of 5. As mentioned before as well, this Android antivirus app comes from a very well-regarded and trustworthy developer, ESET. The only problem with this Android antivirus app is that it tends to tease customers by offering them premium features but only for a total of 30 days. But what good are they if users get used to them but only to find the developer taking them away after 30 days and demanding a price. Just to be clear, during the 30-day free trial period, or sorts, ESET allows users to try the company’s premium edition of its top Android antivirus app. After the passing of those 30 days, the company automatically locks out the user from everything but only the most essential of antivirus tools. But still, we feel that ESET offers users enough quality antivirus tools for the Android platform that it deserves not only a mention here but also a try-out from our readers. During the trial period, the premium version of the app offers various antivirus scanning features as well as a real-time monitor. A feature that exclusively deals with security audits. The other thing about ESET premium version trial period is that, it constantly pushes the company’s 70 percent off deal to the user so that the user thinks about signing up for the premium service even if he/she doesn’t really need it. This is something that free users will have to make themselves content with. Perhaps we should also mention that after the discount deal, the free version continues with more ads for the premium edition. However, generally speaking, this Android antivirus app is technically pretty much ad-free since the ads that do make their way to the user’s screen are about products that belong to the same company. The most notable thing about the app is its user interface though. It is attractive, in other words. Our research shows that Mobile Security and Antivirus Android app from ESET is an above-average option for users who, again, do not want to pay for their Android antivirus protection. It comes from a reputable source and that is always a positive. This Android antivirus app, Antivirus, and Mobile Security Free Protector, comes from Trustlook. Some of our readers might already know that this Android antivirus app isn’t an industry heavyweight. Or let’s say relatively young. But it has quickly established itself as a contender in the market for a good Android antivirus app. To start things off, this company (though young) can now count itself among the handful of Android antivirus companies that are trustworthy and offering free antivirus tools for the Android operating system on the official Google Play Store platform. Not only that, but the official Android antivirus app has also managed to have good ratings along with reviews. Moreover, Trustlook’s various antivirus tools for the Android platform have also received the very prestigious stamp of approval from independent testing labs such as AV-Test. Let’s stick to the present. And the present situation is such that AV-Test has actually not provided the community with any sort of feedback as far as Antivirus and Mobile Security Free Protector is concerned. This has been the case for the past three years now. With that out of the way, let’s take a look at how this Android antivirus product matches up to the criteria that we mentioned at the beginning of the post. Does it offer a premium version? When was the last time developers rolled out an update? It was in April 2018. What is the country of origin of this developer team? Does it offer any additional features? What is the actual file size? The actual file size is around 6.27 MB. What is the total number of customer ratings? What is the total number of users who have downloaded the app? It is over 10 million. What is the average rating that the app has garnered? Currently it has a rating of 4.4 out of 5. Oddly enough, Trustlook’s official app shares an almost suspiciously similar feel and look to CM Security Lite Antivirus from Cheetah Mobile. Apart from that, the features and functions appear to properly work as advertised. Our research shows that the app remains true to its official word and does act as a free protector. The one good thing about Trustlook Antivirus and Mobile Security is that it does not offer users any pay-for-premium-features option. Moreover, it also does not lock out the user from features after the official trial period has expired. This is something that user’s simply cannot avoid with paid applications such as ESET. Beyond the official Android antivirus cleaner, users should have no problems in finding out quite a few extra features. Our research shows that none of the features are particularly unique or even rare. There is a standard Phone Booster option which helps users to run their phone a bit faster by freeing a bit of RAM on the device and also save some battery life. The actual smartphone Phone Booster goes about doing its job pretty much the same way as other apps of this type do. In other words, it turns off specific apps which it identifies as battery-draining. It also cleans out the device’s junk folder. Furthermore, it positively impacts the device’s power consumption by enforcing different standby times and moves amongst many other things. The official Junk Cleaner add-on assists users in getting rid of their junk file which exists in their devices. However, we feel that the companion app manager, for the most part, is unnecessary. Because the app manager offers no function which provides users with any kind of function that isn’t already present, by default, on the Android operating system. Moreover, Trustlook also offers an app lock feature. With the help of this feature, users are able to protect a certain number of their apps which might post them a security and/or privacy risk. We’re glad to report that the official user interface is as smooth as one can expect it to be. Apart from that, our general impression is that people have given app developers good feedback. Perhaps this is the reason why developers of this app have not taken the measure of showing users a ton of ads which cannot only ruin the online experience for many users but are also bad for device resources. With all of that said, it should as a surprise to no one that we feel Antivirus & Mobile Security Free Protector offers users a surprisingly powerful free Android antivirus app and many other smaller tools to download, install and then check out. On the face of it, Super Speed Cleaner gives users all the looks which makes it somewhat of a questionable app. By that we mean, it has a suspicious sounding name and the quality of the feature image that the company has made available on Google Play Store is rather on the lower side. However, behind all of that cheap-ish feature image and clickbait-sounding-name lies an effective Android antivirus app. This is what has raised this Android antivirus app tool on our list. Currently, more than 10 million users have downloaded the app. It is also interesting to note that this app’s user score is actually approaching the perfect score. The developer of the app is from Hong Kong. Hong Kong, for the most part, is considered a trustworthy region that handles user private data with due care. Let’s take a look at how well Super Speed Cleaner does on all the points that we take into consideration as our criteria. What about the last time the developers of the app updated it? The last update came in April 2018. What is the location of the developer? The developer team of this app is from Hong Kong (A part of China but with different laws). What is the file size like? The file size is around 7.03 MB. What about the total number of customers who have rated the app? About 386,000 people have rated the app. What about the number of downloads? Currently the app has reached a total of 10 million downloads. The average user rating is 4.7 out of 5. Our research shows that users are better off considering Super Speed Cleaner belonging to the same Android antivirus app family as Trustlook Free Protector and CM Antivirus Lite. The method that Super Speed Cleaner makes use of to display all its advertisement is also very similar to the two Android antivirus apps that we have mentioned above. It also shows the user a small bouncing box which contains advertisements in the upper right corner of the screen. The reason why Super Speed Cleaner has beaten so many other Android antivirus apps to make it to our list is that it offers users more features than a lot of its competitors. One specific feature that we would like to talk about here is the Call Assistance feature which blocks calls automatically. The same feature can also enable the call back functionality. It can even automate message replies. Talking about the Game Booster feature, it basically frees up some much-needed RAM from other places while the user is busy playing video games. However, there is one thing that did not impress us. This app automatically installs a completely separate app called One-Tap Boost along with the regular Android antivirus app. That may not be such a problem for some because even with the other app, everything seems to work as it is supposed to. Even the advertisements that the app shows to the user remain out of the way. Of course, some may not have it in them to digest the fact that an app installs itself and then another app without the user’s permission and on the user’s device. It is anything but desirable. As the name suggests, this Super Cleaner – Booster, Antivirus and Phone Cleaner, at least from the outside, appears to come from the same family of Android antivirus apps such as Super Speed Cleaner, CM Lite and a lot of other apps. However, the most important point readers need to take note of here is that it has what it takes to pass a good number of our “is-it-good” tests. This is exactly what has helped Super Cleaner to finally have a presence on our list of best free Android antivirus apps. Here is how this Android antivirus app performed on our criteria. When was the last time developers of the app updated it? The last update came out back in May of 2018. Which country does the developer team belong to? It belongs to the United States of America. Does it offer any extra features? The actual file size is around 14.03 MB. What is the total number of ratings from the customers? Right now, around 1.5 million people have rated this Android antivirus app. How many users have downloaded this Android antivirus app? The obvious fact about Super Cleaner is that it is an Android antivirus app. What isn’t that obvious is that it has the capability to offer much more than a standard antivirus app. Regardless, the lineup of features is truly impressive. Hawk App, the developer behind Super Cleaner has promised users that it will show them an interesting and completely new feature in the very near future. The company has named the feature as Facebook Junk Cleaner. Why not some other service? The reason for targeting Facebook is that it tends to consume a good amount of storage space on any given user mobile device. This makes the presence of a junk cleaner for apps like Facebook a very important and attractive feature. However, even with that, Hawk App does offer anything special with its Android antivirus app. By that, we mean that each and everything that it offers is actually run-of-the-mill kind of good. And it is not excellent. Of course, all of the tools that it offers work. However, there is nothing in those tools or anything else that Super Cleaner offers which users would not have the chance of finding in many of the other Android antivirus tools available online and on our list. Still, the Super Cleaner app can boast more than 50 million downloads. It also has a huge number of user ratings. So, for the end user, Super Cleaner is a safe option. But users who sign up with Super Cleaner will have to deal with the fact that it is bloated. MAX Security is the developer studio behind Virus Cleaner. The thing that separates Virus Cleaner from the rest of the competition is its immaculate user interface along with an environment that is mostly ad-free. With that said, the company does allow users to shell out a little bit of money in order to make the interface completely ad-free. Of course, users with any amount of willpower will not have any need of doing so. In other words, our research shows that the vast majority of online consumers would have no trouble in ignoring the ads that are present in the Virus Cleaner app. They are that comfortable to look at and are not obtrusive at all. Apart from that, the other thing we would like to mention here is that the app work pretty fast. And it accomplishes the task of running scans and other protective measures without consuming too many resources. This app has everything in place for the user to benefit from. All of that is backed up by a strong real-time monitoring feature as well as a standard antivirus engine. Let’s see how Virus Cleaner (Booster, Antivirus ) performed on our list of criteria. Yes. It does have a premium version. Yes. It does have an ad-supported version. When was the last time the developers behind this Android antivirus app updated it? The last update came out in April 2018. Where is the development team located? It is located in Hong Kong. The file size is around 6.99 MB. What about the total number of downloads? That number has reached around 10 million. As mentioned at the top as well, users can look forward to a rather crazy number of security features. And all of them come for free. This is what a typical MAX Security antivirus product offers users. Call assistant which is pretty reasonable for blocking numbers and calls. Private message feature which is like messaging protection. The Data Thieves feature essentially checks for all the applications that use data while the user has locked his/her screen. 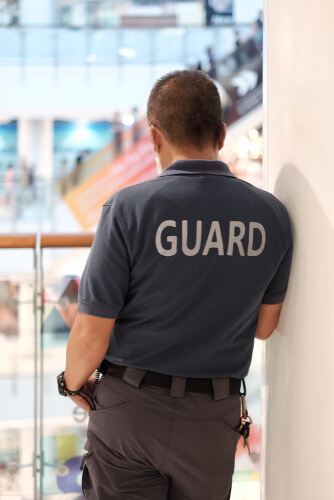 As most of our readers would surely see, MAX Security offers a lot of security features. We don’t exactly know how, but somehow MAX Security finds success in managing and cramming all of the above-mentioned features into a simple app which is just under 7 MB in file size. MAX Security accomplishes that by making sure that it has a very minimalistic user interface. However, it also makes sure that it does not install all the features at once. To take an example, Virus Cleaner cannot run the booster feature the first time the user wants it to. Once the user makes the request, the app automatically goes about installing a separate app called One-Tap Booster. This is what Virus Cleaner installs on the user’s smartphone device. The only problem with that is the app does so without the user’s permission. Not taking that into account, the app a lot of good features. Perhaps the best feature that this app offers to users is customer service. And we don’t mean that in the traditional way. You see, the developers behind the app have shown that they are willing to listen to and answer all negative feedback in a very positive way. And it doesn’t hide that fact on its official Google Play Store page. This is something that users and non-users alike always prefer to see. You don’t need us to tell you that this is indeed the hallmark of a great developer team. The other thing users need to note here is that MAX Security is available in the market today thanks to the hard work of ONE App Ltd. However, some less-than-heroic developers have put up a rather good number of clones of the MAX Security app on their own official Google Play Store page. Our research shows that there isn’t a whole lot difference between these Android antivirus apps. We’re not saying that any of these apps is a fraud. What we are saying is that users are free to choose which one they would like to install. Generally speaking, users should always go with that product that most closely fulfills their needs and requirements with as less hassle as possible. We are suspicious that it is highly likely that ONE App LTD has taken it upon itself to spam the official Google Play Store platform by developing and putting up clones of the same Android antivirus app and using slightly altered Android app names in order to increase its actual app market share. Such a tactic also allows ONE App LTD to capture various different search queries as well. Do we need to say more than the word Avast? All that we want to say is if there was one company we wanted to see progress and prosper then that was Avast. Avast has risen to the top of the antivirus app world not just according to our research but many other reputable security review sites. And perhaps deservingly so it has managed to make our list of the top 10 best free Android antivirus apps. There is little doubt about the fact that Avast has managed to produce a very desirable and functional set of security tools, not found in any other antivirus offering. Of course, Avast has made most of its name via the desktop platform. But we’re going to stick with its achievements on the Android operating system. The really unique thing about Avast is that, its free antivirus offering is pretty much as much equipped as any to give users everything they can possibly want from an Android antivirus app. Perhaps that is just one of the reason why over 100 million online consumers have downloaded the official Avast Android app according to Google Play Store. Let’s take a look at how Avast has performed on our small and limited list of criteria. Does Avast offer an ad-supported edition? What about the last time it performed an update for its Android app? The company rolled out an update for its Android app in April 2018. Which country is the developer team from? The developer team is based in the Czech Republic. Does it offer users any kind of extra features? The file size is close to 16.8 MB. How many customers have given this app a rating on Google Play Store? How many people have downloaded its official app on Google Play Store? What is its average user rating? Its rating is around 4.5 out of 5. Readers can probably tell by now that there are those well-known antivirus app developers who offer users free versions that actually do not have any ads. Well, it turns out, Avast is not that kind of app developer because it does include ads with its antivirus products. Of course, as mentioned earlier as well, this may not be a problem for a lot of online consumers. Avast tries its best to accommodate its business interest and user’s needs as best as it can. This is why Avast does not make use of pop-ups. Instead of that, advertisements make an appearance on a reasonable part of the screen while the user is busy running different features and/or performing running scans and everything else. As far as the user interface is concerned, this antivirus app has a well-constructed one. We’re not going to deny that even though it is well thought-out, it still gives off that look and feel that makes it similar to the majority of the antivirus tools that we have mentioned on this list for free. Avast, is also different from other Android antivirus companies is that it rarely finds the need to NOT push its paid and Pro version to free users. It does so in a rather noticeable manner. However, the ads themselves are not really intrusive in nature. Avast also tries to advertise the premium/paid version of its Android antivirus app offerings right next to the official list of features that the Pro version would unlock. Some of the free security features include the app’s ability to offer app locking and ad removing. As a company, Avast offers all its users a total of 14-days trial for free users. During these fourteen days, users are free to use the Anti-theft feature and the Photo Vault feature in order to benefit themselves. After the free trial, Avast would automatically remove the Photo Vault and Anti-theft features. As far as the number of extra features go, Avast is on the lower end of the table for this one. In other words, it does not have a ton of extra features to offer to users. However, Avast is still pretty much considered a high-quality security program for the amount of money that the user is paying (which is nothing). We are aware of the fact that some users may not like Avast charging money for features that a lot of other Android antivirus app competitors are giving away for free. We’re talking about features such as the App Locker. However, we say that users who are paying for such features can at least rest in knowing the fact that Avast is probably the most well reputed and well-vetted developer around town. However, in the case of paid Android antivirus apps, we always like to introduce a couple of more criteria. Does the company offer one-time payment packages or subscription-based packages or even both? Needless to say, the lower the actual cost of the product and the higher the product’s quality, the better it is for the company and the user. Moreover, in the case of paid applications, we like to relax a few of our previously-mentioned criteria. Because we want to have a slightly wider pool of Android antivirus apps to work with. We have already indicated the fact that when it comes to paid Android antivirus apps, there are even fewer trustworthy names. In this list, we have only included the Android antivirus apps which have less than a total of 1 million downloads. If a paid Android antivirus app does not have that, it can’t make our list. But ultimately, the majority of the free Android antivirus apps also have paid versions which are good enough to make it to our list this time around as the best paid Android antivirus apps. With that said, it is true that the user has to make up his/her own mind on his/her own. In other words, it is they who need to determine which Android antivirus app is best for them or whether they would gain any benefit out of a paid Android antivirus app. When all is said and done, the major difference between paid Android antivirus apps and free Android antivirus apps is that the paid versions remove all ads for a small fee. Of course, there are those paid Android antivirus apps that offer users an expanded list of security features for which they have to pay in order to unlock. Here is the list of best paid Android antivirus apps that have made it to our list this year. As readers can probably tell on their own that many of the above-mentioned Android antivirus apps also made it to our list of free best Android antivirus apps. But this time around, the user’s main concern should be to determine if the paid version of the app is actually worth the full price. As mentioned just now, most of the paid versions are nothing but ad-free versions of the free app. However, we recommend that readers should select more than one of the paid Android antivirus apps that we have mentioned on our list and then take a detailed look at the mini-review that we’ll do in this post. The next section will follow pretty much the same pattern as the pattern for best free Android antivirus apps. We have already covered a lot of ground on this one. But readers should know that the majority of the feature that they will get with the paid version of Avast Antivirus 2018 edition is already available to them with the free version that comes with advertisements. Along with an ad-free environment, fortunately enough, Avast also makes sure that it avoids any kind of confusing payment methods. In other words, users have to pay for the service on an annual basis. More importantly, the annual fee is relatively small. With that said, it is still worth it to ask the question of whether additional security features and an ad-free experience really deserve a payment or not? Of course, the user is the one who has to decide that. Beyond that, there is no doubt about the fact that Avast provides users with one of the most trustworthy and complete paid Android antivirus tools that the user is likely to find on the whole official Google Play Store platform. Users can pay for the premium version at around $11.99 per year. Or they can pay $2.99 each month. Avast has a subscription-based model for which they can pay monthly or annually. Super Speed Cleaner comes to us courtesy of Hyper Speed which comes packed full of various different security features. The good news is that users can have access to all of those features. All of them would now come without any ads or anything. All that the user has to do is to pay a small sum of money for it. We generally don’t like to rank our best Android antivirus apps but if we did do a strict ranking, Super Speed Cleaner would rank pretty high because of the quality of its free Android antivirus tools. That is the reason why it has made it to our list of best paid Android antivirus apps as well. However, we recommend that users should only think about paying for it if they both love this Android app and also hate advertisements. Otherwise, we don’t think that users should pay such a high amount of money in order to just get rid of ads. Users have to remember the fact that Super Speed Cleaner offers a subscription-based payment instead of a one-time payment fee. Users can either pay $1.99 per month or pay $11.99 each year. It is a subscription-based pricing model where users can either pay monthly or annually. We have already mentioned the fact that Security Master Booster VIP, AppLock, VPN, Antivirus is actually the paid version of the app we know as CM Lite. In other words, Security Master is, on its own, a free Android antivirus app that is ad-supported and also comes with a paid version. However, our research shows that the paid version ads very little on top of what CM Lite provides to users. Some users might have already guessed that by paying attention to the term “Lite” in CM Lite. Pretty similar to CM Lite, readers should not have to work hard to realize that Security Master – Booster, App Lock, VPN, Antivirus is just another app offering from Cheetah Mobile. However, this application supports both a paid version and an ad-supported version. We know that Security Master did not manage to make it to our list of best free Android antivirus apps. However, it is good enough to make it to our list of best paid Android antivirus apps. If we look at things from a fundamental level, CM Lite and Security Master are pretty much the same. The only difference is a slight expansion of features and tools. Security Master can always boast about getting a stamp of approval thanks to AV-Test for its protection abilities. Perhaps this is a good time to also mention that AV-Test did knock Security Master pretty low for its usability score. If we are to believe what AV-Test has to say about Security Master, then Security Master has a tendency to give an unhealthy number of those annoying false warnings. Now let’s talk about how Security Master managed to fit into our criteria of best paid Android antivirus apps. What about the last time it was updated? Which country does the developer team operate from? The team operates from China. It is around 14.25 MB. What is the total number of ratings that customers have given to this product? How many users have downloaded this app? Around 500 million and more. As readers can probably tell on their own, that is an impressive list of features for a product that comes for free. Moreover, we also believe that this option is probably the best one when it comes to free Android antivirus apps outside our list. So what does a VIP status get the user? Well, if the user decides to become a paying customer then he/she gets to experience it all ad-free. The VIP user would also get access to 200 MB of the company’s own VPN service and Scheduled Boost feature. However, if the user decides to become a premium user then the company offers an unlimited amount of VPN. It is fair to say that Cheetah Mobile offers users a complicated pricing scheme. Moreover, we have some concerns regarding the effectiveness of this VPN company especially given the fact that this company has a less-than-spotless history with issues such as user privacy and data usage. With that said, here is the actual breakdown of price. Cheetah Mobile offers a subscription-based model. Users have the option of either paying monthly and/or annually. Users can pay $35.99 on a yearly basis or $20.99 every three months or $11.99 each month. Again, a subscription-based model in which users can either pay monthly or quarterly or annually. All the prices that we have mentioned above make Security Master from Cheetah Mobile amongst the most costly Android antivirus app in existence. Now, it depends on the user whether or not he/she considers it a worthy purchase. We would like to warn users who want to become a VIP user just so that they can use the VPN service. There are many far better and more trustworthy names in the VPN industry that Security Master. For users who truly need to make use of a VPN service along with their antivirus tool, we say that they should simply keep using the Security Master free version and then sign up for (first download and then install) a better quality and more trustworthy VPN service such as NordVPN or ExpressVPN. Both these VPN services have dedicated apps for the Android operating system. Again, we are well aware that Avira Antivirus Security did not manage to make it to our free Android antivirus app list. However, that does not change the fact that Avira Antivirus Security indeed offers users to make use of the company’s Android app free of cost. Now, Avira and other such companies bring to the table a lot of experience and quality. So there is a good chance that some of our readers may select Avira as their primary free antivirus app for the Android even though we did not include it in our list of top 10 free Android antivirus apps. But why did we not include Avira in our list of best free Android antivirus apps? Well, the reason why we did not include it that other Android antivirus apps had way more downloads than it. Our choices also had smaller sizes and had better ratings from users. Moreover, our choices had developers who regularly updated their apps. With that said, it is also true that Avira would not have a problem fitting into our list of top 20 free best Android antivirus apps. As far as paid options go, there is denying the fact that Avira antivirus app is pretty much the best the user can find on the market. It offers users a pretty long list of quality antivirus features. What about the time developers last updated it? The last update came around April of 2018. Which country are the developers from? What about its file size? The file size is around 15.17 MB. What is the total number of ratings by customers? Currently Avira has 500,000 ratings. How many online users have downloaded its app? It is around 4.5 stars out of 5. Users who want to use Avira for free can do so but will have to suffer heavy advertisements. The app, filled with advertisements, offers users real-time protection, a scanning tool as well as many other useful security features. Identify Safeguard which enables the user to search a decent public listing of all the data breaches for hi/her email address. Users who would like to pay for using Avira will get some additional features as expected. Avira provides premium users with Camera Protection which is useful for users who want to guard against camera hacking. There is also the Microphone Protection which prevents activities such as audio hacking and also Web Protection to provide users with device protection while they surf the web. Avira also takes it on itself to remove advertisements for users who pay. The company is pretty consistent when it comes to updating their official antivirus database. Moreover, it also provides paying customers with tech support. Let’s take a look at how much Avira costs users. Users have to pay Avira $11.99 each year. Avira has a subscription-based model and users can only pay on an annual basis. It doesn’t take a genius to notice that Avira is perhaps the cheapest option in the market today. Users only have to pay around $12 for the full year subscription which comes with the standard service and all the additional features. That comes to less than $1 per month. This security app has over 5 million downloads. Moreover, it has a 4.5 star rating out of 5. Add to that the fact that it has a stamp of approval from AV-Test. That works for it pretty well too. V3 Mobile Security app is developed by Ahn Labs. And by the looks of it, the developer team is more than proud of their app. Pretty similar to all the other Android antivirus apps that we have mentioned on this list, V3 Mobile Security also offers users a free edition. That free edition was not good enough to qualify for our best free Android antivirus apps. However, that is another issue. As far as the paid edition is concerned, the V3 Mobile Security hits all the right points in order to finish inside the best 5 paid Android antivirus apps on Security Gladiators. With that out of the way let’s discuss how this Android antivirus app has managed to perform in our ranking criteria. When did the last update come out? It came out in April 2018. It operates out of South Korea. Does it offer extra features? It is close to 12.7 MB. What is the total number of customer ratings on Play Store? Current there are around 54,000 ratings. How many times have users downloaded this application? The most useful feature of this antivirus app is that it informs the user about everything. By that we mean, it tells the user that it needs to have full access to the user’s device before the user can actually install it. We have already seen the media filling up with news about how different movements have called for more transparency in the way online services make use of consumer data. In this respect alone, AhnLab managed to get ahead of the game pretty early. It is also true that a lot of other applications of this type force access to all such permissions but without telling the user about them up front. With that out of the way, there is no denying the fact that V3 Mobile Security does ask the user for access to a lot of things before it can start to work. For example, the user has to allow this app to have access to his/her device’s administrative privileges. It also requires access to app and device history. Now that is a long list. V3 Mobile Security requires users a total of 13 permissions. If the user does not grant the app these permissions, the user cannot use this app. V3 Mobile Security effectively requires permission to access all important sections of a given user’s smartphone operating system. As soon as the user downloads the application and installs it, the user is free to perform a complete scan to check for malware. This app is more than capable to help prevent problems such as smishing. It also adds extra privacy protections for files and apps. Moreover, it also has a feature for optimizing memory. Privacy Advisor which checks for the kind of permissions that each given app on the user’s device wants/has. What is the amount of money a user has to pay for these features? Ahn Labs offers each and every single one of these features without charging users anything. However, the official app comes with advertisements. Hence, the paid options exist solely to rid the user of all the ads that he/she would see on the free version. Currently, AhnLab has an interesting subscription option for users. Users can either pay $0.99 each month or pay $1.49 for 30-days if its a one-time purchase only. The company has a subscription-based model where users can either pay one-time fees or a monthly fee. Now, is that cost really worth what the user is getting in return? There is little doubt that V3 is one of the most capable apps that users can sign up for. However, a lot of users may simply have no need for paying up for its premium version. The free version comes with so few ads that they are non-existent. Even without charging any money, the app costs users nothing. Do you need an Android antivirus app? Our short answer to this question is YES. However, the long answer is bound to be slightly more complicated. We have mentioned it time and time again in this guide that because of the fact that there are so many Android devices, this makes the operating system prone to hackers and viruses when compared to iOS devices. However, both the systems have a similar build. It is because of that build that the iOS and Android are able to make life very difficult for any virus to, in reality, do anything nasty to the user’s device once it has downloaded itself to the system. Similar to the iOS platform, the Android platform has the Linux kernel as its base. Not only that, it also makes use of processes that the community knows as sandboxing. This helps Android to protect the user’s system security. When an operating system makes use of sandboxing, what that means is that it assigns each given application its very own spot in the user’s hard drive. Moreover, the application does not have the permission to interact with any other applications without first acquiring requisite permissions. In fact, each and every app that user installs actually must ask the user for permission before it can do anything on the device. This is also the reason why users will find that even after installing a given app on their Android operating system, the app still has to ask them permission to have access to other more sensitive parts of their smartphone device. These parts include the user’s contact list and camera. This sandboxing feature is the exact thing that makes the Android operating system inherently safer than Microsoft Windows. However, it does make Android invulnerable against hacking and/or viruses. Pretty similar to Windows, hackers have a special liking for the Android platform because they know that a huge number of users make use of Android devices. This is the reason why they work so hard and diligently in order to find access points which can allow them to bypass all Android security measures. Because of that, the vast majority of the viruses that roaming the digital universe are fully capable of attacking Android devices. They can do so either by affecting a single given Android app and gaining access to certain permissions or they can simply find new ways which allows them to get around the sandboxing feature. For iOS users, they should know that all Apple devices also make use of the sandboxing method. This shouldn’t lead anyone to believe that the sandboxing method is impervious. Security researchers and app developers have known this for years now. Any given device that is running the Android operating system can rely on the operating system’s basic design which has the ability to prevent viruses from reaching a point where they are effective to any great extent. However, the sheer number of users on the Android operating system and the fact that Android does have some security loopholes, makes this operating system vulnerable to hackers. In order to plug those security holes, users need to install an antivirus software on their Android devices. It is more of a necessity now. But our research shows that VPN services are good at privacy. > Security Gladiators gave consideration to a number of criteria. This is certainly a thorough review, but “highest detection rate” is noticeably absent from your set of criteria. > Google Play Protect … Google is smart. Very smart. Play Protect is not worthless, but plenty of malware has found its way onto the app store. Besides, Google Services and the Google Analytics embedded in most Android apps could be considered malware, if you care about your privacy. Thanks for the comment AV. The links you provided can certainly help people to understand the problem of big tech better.